I Love My Baby Because… is a snapshot of a day in the life of a busy mum and toddler. Together they shop, play and do things at home that are all part of how and why they love each other. 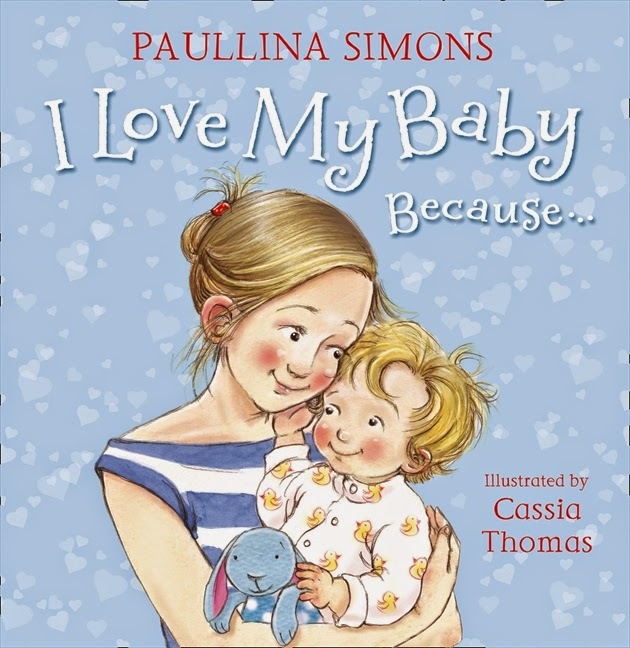 The lovely illustrations by newcomer Cassia Thomas add warmth and humour to the text by best-selling novelist Paullina Simons. Together, they show that things don’t always run smoothly as mother and toddler go through their day, but there are always cuddles and smiles and love to be found amidst the mess and mishaps. A sweet story for mothers to read with their toddlers, I Love My Baby Because… acknowledges the busyness and, at times, frustrations of dealing with a toddler, but it also celebrates the love and joy that comes from having such a vibrant bundle of energy slow down for cuddles and bedtime stories.